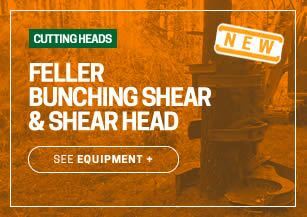 BEST PERFORMANCE DIRECTIONAL FELLING HEAD IN 4 DIFFERENT SIZES. The J de Souza Log Grapples are Recognized by their Durability, Resistance and High Performance. J de Souza produces Slasher Saws for operations of small and large volumes, being applicable on Excavators and Forestry Loaders of Tractors and Trucks or still on Hydraulic Units. Our mini-skidders are designed for the coupling on the three-point system in versions available for Tractors of Small, Mid and Large Sizes. J de Souza produces Subsoilers destined Specifically to Forestry Activity. They are equipment of Compact Construction however Robust. We develop Forks for Wheel Loaders, Backhoes and Agricultural Tractors of several marks. J de Souza develops Rakes for Wheel Loaders, Agricultural Tractors and Dozers. J de Souza Buckets are equipment destined to the Handling of Chips, Coal and other materials, they are applicable on Loaders directly on the machine or with Extender Arm. Equipment also known as Horizontal Loader or Stick Loader, its initial conception was for the feeding of Coal Kilns in Coal Yards. We make Fast Coupling Supports for Shovel Loaders of all marks and models. J de Souza. All Rights Reserved.